New Player Bonus: A 100% matched bonus up to $200 on your initial deposit, and a full welcome package totalling $500 in free credits across your first four deposits. 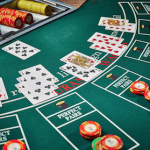 Games: Hundreds of classic casino games, including multiple forms of blackjack, roulette, and baccarat, as well as more than 20 progressive jackpots – many of which pay well into the millions. All Jackpots offers a huge range of games – from casino classics like 21 and roulette, to some of the most tantalising progressive jackpots on the market. The catalogue of games and live tournaments is constantly expanding, and the mobile casino offers a great spread of real money games for smartphones and tablet devices. Safe, secure, and easy to use, All Jackpots ranks as one of our top supported sites for online blackjack. Since its formation in 2003, All Jackpots Casino has firmly established itself among the cream of the crop for online gamblers. As part of the Jackpot Factory Group (alongside All Slots Casino), it is known worldwide as a leader in progressive jackpot games, offering some of the best payouts on the Web. However, All Jackpots is no one-trick pony, and boasts a vast selection of traditional casino games – from old favourites like roulette and baccarat, to more exotic games such as 3-card poker and sic bo. 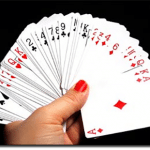 And, of course, there are numerous blackjack and 21 tables to choose from – for what casino, online or otherwise, would be complete without the most popular game of all? Much like how brick and mortar casinos shower their best patrons with free drinks, accommodation and the like, gaming websites offer an array of bonuses and promotions. Many of these rewards are activated based on the number or value of deposits you make into your account, but almost all online casinos advertise some kind of joining bonus for first-time customers. All Jackpots boasts one of the more impressive sign-up bonuses going around. All new players will have their first deposit matched to the tune of 100%, up to the value of $200. So, for example, if we put in $50 to start with, the casino will give us another $50 in credits – absolutely free, no strings attached. The complete welcome package adds up to a whopping $500 in free cash, spread out over the first four deposits. Twenty-one is fun no matter how you play it – the rules are simple, the house edge is usually very low, and there is a definite strategy for every situation. But nothing compares to thrill of playing for real money. Blackjack has always been a big earner for cash players, and the Internet age has made it easier than ever to build yourself a big bankroll. All Jackpots offers even more incentive for real money gamblers. As part of AJC’s Loyalty Club, every $10 you gamble earns you one Player Point, and every 1000 Player Points accrued results in a $10 bonus. So the more real money blackjack we play, the more free cash we get. All Jackpots gives players options as to the way we would like to access the casino. The main route is to download the full casino software. This choice unlocks every single game that All Jackpots has to offer, as well as all the features, news updates, promotion info, and much more. High-quality graphics and audio make for an aesthetically pleasing, user-friendly layout that gives a taste of the sights and sounds you would find in a land-based casino. Alternatively, you could choose to use the Flash casino. This quick and easy method requires no additional downloads, and is ideal for players who want the gaming essentials without all the bells and whistles. Although there are slightly less games and features available when compared to the full-download version, Flash play still affords us an extensive selection of all the most popular casino games, as well as tournaments and progressive jackpots. With All Jackpots’ mobile casino, you can hit the tables and slots no matter where you are. The software is compatible with all Android and Apple products, operates on smartphones and tablets, and meets the same safety and security requirements as the computer casinos. There are loads of games available, from pokies, to roulette, and, of course, blackjack, all offered for real money game-play. And in addition to the standard $500 sign up bonus, you get $5 completely free just for joining the mobile casino – no deposits required. In most of the world, blackjack reigns supreme among casino games. When it comes to playing 21 via the Internet, few can compete with All Jackpots – especially among sites that support real cash transactions. AJC boasts more than 40 varieties of blackjack, including multi-hand games where you can play up to five hands at once, and progressive jackpots where you can have a shot at some huge payouts. Whether you like to play for fun, or you fancy making a bit of cash, All Jackpots has a game to suit your needs. At blackjack.com.au we are obsessed with 21 and all its mutations, and All Jackpots more than meets our needs in that department. But variety is essential, and the folks at All Jackpots Casino are right on the money yet again. Baccarat, craps, roulette, poker, keno, sic bo, casino war… the list goes on and on. But the crown jewel is the enormous selections of pokies/slot games, many of which are among the highest-paying games available to online players. All Jackpots offers more than 20 progressive slots, all of which are hooked up to Microgaming’s mega-rich jackpot network – millions upon millions of dollars up for grabs. At some gaming sites, getting money in and out of your playing account is a nightmarishly complicated process, fraught with red tape and interminable delays. All Jackpots Casino gets rid of the mess, while maintaining the highest levels of security for all deposits and withdrawals. Thanks to a 128-bit SSL encryption, all transactions to and from your playing account are secure. All Jackpots offers various transaction methods for deposits and withdrawals – credit/debit cards, Web wallets, direct bank transfers and more. Most deposits are instant (bank transfers can take up to 72 hours), meaning you can hit the tables as soon as you confirm the payment. Withdrawals usually take 48 hours to clear, in which time you can opt to reverse the decision to cash in and the money will remain in your casino account. Note: Not all methods support both deposits and withdrawals, so visit All Jackpot’s banking page for more info. All Jackpots is dedicated to making life simple for punters from the outset, with clean designs and clear text all through both the casino and the website. However, if you do get stuck, the support staff have got your back. The toll-free help hotline is open 24/7, while email enquiries are assured a speedy reply. You can also contact the staff via the live chat function within the casino, for on-the-fly advice without having to interrupt that lucky streak. All Jackpots Casino is powered by Microgaming – the king of the castle when it comes to gambling software clients. This UK-based company has been around since 1994, making it the oldest of its kind, and boasts a sterling reputation for creating fun, fair, ultra-reliable programs for online casinos. The software and its random number generators are put through their paces by independent third-party testers, ensuring all programs pass rigid tests for randomness, fairness, and overall functionality. With over 500 different games currently on its books, and more new titles coming out each month, Microgaming is the undisputed leader of the Web casino industry.